Gangtok is known for nature, historic sites, zoos & aquariums, wildlife, and casinos. Your plan includes some of its best attractions: contemplate the waterfront views at Tsongmo Lake, make a trip to Flower Exhibition Centre, get great views at Ganesh Tok View Point, and take in the dramatic scenery at Banjhakri Water Falls. For where to stay, photos, more things to do, and tourist information, go to the Gangtok online trip planner . New Delhi to Gangtok is an approximately 5.5-hour combination of flight and taxi. You can also drive; or do a combination of train and taxi. 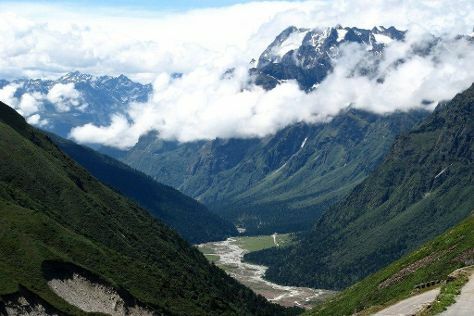 Finish up your sightseeing early on the 27th (Sat) so you can go by car to Lachung. On the 28th (Sun), contemplate in the serene atmosphere at Lachung Monastery, contemplate in the serene atmosphere at Lachung Monastery, take in the dramatic scenery at Bhim Nala Falls, then admire the sheer force of Naga Falls, and finally witness a stunning natural landmark at Yumthang Valley. To find ratings, photos, reviews, and more tourist information, read Lachung road trip tool . Traveling by car from Gangtok to Lachung takes 4.5 hours. Finish your sightseeing early on the 28th (Sun) so you can drive to Ravangla. Start off your visit on the 29th (Mon): contemplate in the serene atmosphere at Ralong Monastery, stroll around Buddha Park, admire the striking features of Doling Gompa, then contemplate in the serene atmosphere at Bonn Monastery, and finally take in the spiritual surroundings of Tumlong Monastery. Take the guesswork out of planning a Ravangla vacation by using our trip itinerary maker. Traveling by car from Lachung to Ravangla takes 5 hours. In April, daytime highs in Ravangla are 37°C, while nighttime lows are 24°C. Wrap up your sightseeing on the 29th (Mon) early enough to drive to Pelling. 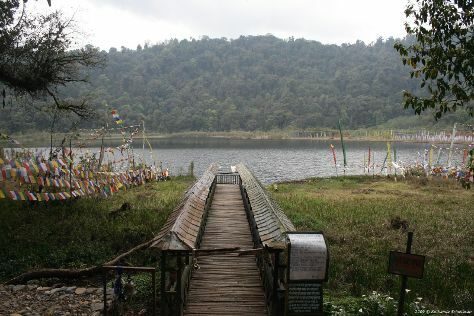 Start off your visit on the 30th (Tue): admire the striking features of Sangacholing Monastery, take in the dramatic scenery at Kanchenjunga Falls, and then contemplate the waterfront views at Khecheopalri Lake. Get ready for a full day of sightseeing on the next day: don't miss a visit to Tashiding Monastery, take in the spiritual surroundings of Pemayangtse Monastery, then don't miss a visit to Pemayangtse Gompa, and finally delve into the distant past at Rabdentse Ruins. To see maps, other places to visit, reviews, and more tourist information, refer to the Pelling driving holiday planner . Traveling by car from Ravangla to Pelling takes 4 hours. In April, daily temperatures in Pelling can reach 37°C, while at night they dip to 24°C. Finish up your sightseeing early on the 1st (Wed) so you can travel back home.